When it comes to magazine covers, it seemed for a while that Mica Arganaraz couldn’t catch a break, with a collection of uninspired covers from the likes of Japanese Vogue, German Vogue and French Vogue. The Argentinean beauty, who continues to take the fashion industry by storm, now graces Vogue Brazil for July 2017. 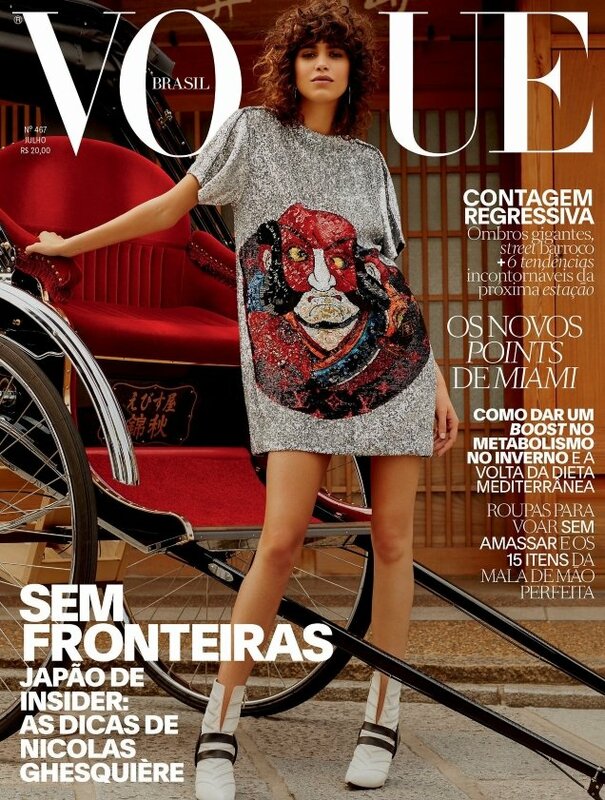 The current face of Versace poses on the Brazilian fashion bible’s two covers, captured on location in the Japanese city of Kyoto by photographer Rafael Pavarotti. Shot a day after the Louis Vuitton Cruise 2018 show, she fittingly wears the French fashion house in both cover images. Mica’s latest Vogue appearance certainly won over our forum members. “Wow wow wow, I love both covers, and this is what culture appreciation should be,” commented MDNA immediately. “The second cover (below) is stunning! I like this glamorous side of Mica,” appreciated badgalcrush. “The second cover is simply stunning,” Zposen echoed. Quick to give their seal of approval was Miss Dalloway. “Just fantastic! Both covers work, she has such a great presence in print, always happy to see her,” she declared. “Both covers are great, Mica is so gorgeous!! Well deserved,” said sixtdaily. “These are gorgeous. The second cover is very impactful. The best part though is that these images look better than any recent LV campaign,” proclaimed TaylorBinque. “Stunning covers, and Mica looks especially gorgeous on the second one,” raved rubydon. Which cover do you prefer? Await the content of the issue and join the conversation here.